A gift which you can give to your guests and the environment, on the best day of your life, is to organise an Eco-friendly wedding. It will give immense pleasure to those who already have this lifestyle and will be a wonderful surprise for those who haven’t already thought about it. 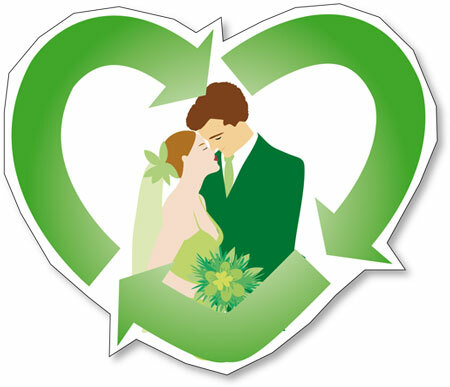 The special attention given to your choice of recycled materials is ECOCOMPATIBLE – from the little sweet boxes, the wedding dresses and to the wedding list will be truly special and original. Special Catering with products of the highest quality but which leave no carbon footprint, and without overlooking the unusual elegant table decorations will leave an indelible memory on your friends and family who will appreciate your choice of a no waste wedding. Your alternative eco-friendly and eco- solidarity choice will also put a smile on faces in other lives in other places whilst you are celebrating the most wonderful day of your life!